Tune into 'Trep Takeover 2014 on Thursday, March 20! 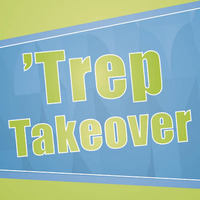 'Trep Takeover is back! Bring your entrepreneurial spirit and tune into the live stream at www.ccis.edu/livestream on Thursday, March 20, from 6-7:30 p.m. CST to learn, network and get inspired. The event, presented by the Fishman Center for Entrepreneurship, will feature three seasoned business panelists, whose insights will help everyone from students fine-tuning their startup ideas to experts in the field. If you live near the main campus in Columbia, Mo., join us for a VIP reception at 4:30 p.m. in the Brouder Science Center Atrium outside the Bixby Lecture Hall. It'll be a great opportunity to network with venture capitalists, investors, entrepreneurs and community members! To learn more, read the Spotlight story. Thursday, March 13, 2014 Chk out- Tune into 'Trep Takeover 2014 on Thursday, March 20!